Severe weather can pose a very real threat to Maple Grove, MN and the aftermath can have a big impact on your home. The experienced team at Paul Davis in St Paul, MN is there to help your home recover from these types of storms, no matter what the cause of your storm damage happens to be. We’re committed to get back to you in thirty minutes and be onsite within four hours. 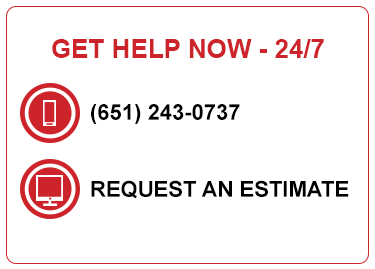 If you need immediate assistance, please call us 24/7 or click on the “24-hour Emergency Services” button above. If your home has experienced storm-related damage, know that Paul Davis in St Paul, MN will be ready to help you 24/7. Through our experience and training, we are capable of addressing all types of storm damage and helping you get your Maple Grove home back to normal as quickly as we can.